Central American folklore is rich. Each town you visit has stories and legends. Many of the legends from Central America are ancient, with origins in the isthmus's indigenous populations, like the Maya and Kuna. Some others were brought over by the Spaniards or created by them during colonial times. Some are terrifying, but some other are stories that try to convince people to behave in a good way according to local moral guidelines. The Sihuanaba (as she's known in Guatemala; she's called the Ciguanaba in El Salvador, the Cigua in Honduras and the Cegua in Costa Rica) is one of the terrifying ones. She's a shape-shifting spirit in Central America folklore, who has the body of a hot and attractive woman when seen from the back; long-haired and often naked, or wearing a gauzy white dress. Men come upon her while she's bathing on dark nights. They don't see her real face – a horse face or human skull – until she's lured them into danger, or gotten them hopelessly lost. In Guatemala, the Siguanaba usually appears to punish unfaithful men. It is said that she takes them to a solitary place, then shows her face, which makes men so scared that they can' move. She then proceeds to take their soul. 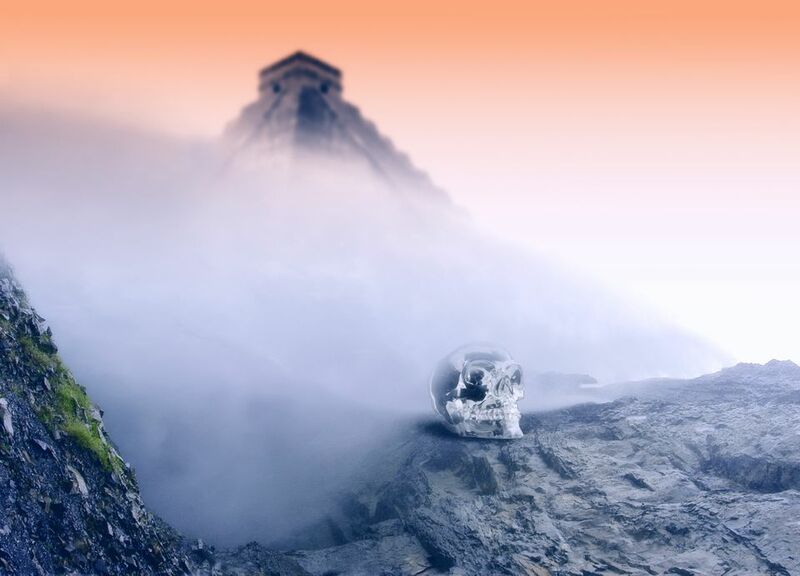 The legend of Central America's crystal skulls was popularized by the 2008 film, Indiana Jones and the Kingdom of the Crystal Skull, the long-awaited addition to the Indiana Jones Trilogy. However, the skulls most definitely exist. They're replicas of human skulls, carved from transparent quartz crystal; the most famous, the Mitchell-Hedges Crystal Skull, was found in Lubaantun Mayan ruins of Belize. Mayan legends allude to thirteen skulls in total, each possessing supernatural powers. Some say they serve as hubs of energy, predict the future, or have healing abilities – which is where the legend part comes in. La Llorona (The Weeping Woman) is another spooky female spirit, widespread throughout Latin America including Puerto Rico, Mexico, the American Southwest, and South and Central America. There are as many versions of the La Llorona story as there are Latin American countries, but the most common tale involves a woman named Maria. She drowned her children so she could be with the man she loved. But he rejected her – so she killed herself. Because of her sins, she's forced to wander the earth. She makes horrible and loud weeping sounds as she searches for her murdered children. The legend of La Llorona is often told as a cautionary tale to Latin American children and men who stay late at night drinking. If they misbehave – or wander too close to the water at night – La Llorona will steal their soul. The Resplendent Quetzal is the national bird of Guatemala and one of Central America's most striking, with emerald feathers, a crimson breast, and a three-foot plume. According to Guatemalan legend, the quetzal flew in the face of Spanish conquistador Don Pedro de Alvarado as he was fighting Mayan leader Tecun Uman trying to protect him. Tecun Uman ​was killed anyway, and the Mayan empire was defeated. The quetzal's bright red breast is said to be stained by the blood of Tecun Uman. It is also said the quetzal's song is impossibly beautiful, but the bird won't sing again until the Guatemalan people are truly free. El Cipitío is a big-bellied ten-year-old boy found in El Salvadoran folklore, allegedly the son of an illicit romance between the Morning Star (El Lucero de la Mañana) and the Sihuanaba (see above). When the Sihuanaba's husband discovered the affair, the god Teotl cursed the poor boy to wander the earth forever – with his feet pointing backward. Ever since, when people come across his footprints and try to follow them, they're led in the wrong direction. According to legend, El Cipitío wears a massive sombrero and is generally a playful, mischievous spirit, not an evil one.